In their new "718" guise, Porsche's Boxster and Boxster S are better than they've ever been. There are few contenders in the mid-engine, rear-drive roadster game, perhaps because there's little hope against the stalwart Boxster. While the two cars aren't exactly cheap, virtually nothing offers their combination of speed and all out fun at any price point. The magic starts with an aluminum-steel composite chassis, which makes for a lightweight yet incredibly rigid platform. Braking comes courtesy of 4-piston aluminum calipers on internally vented and cross-drilled discs, with pad wear sensors on each corner. Interiors on the 718 Boxster and Cayman have excellent ergonomics, plus the newest Porsche Communication Management (PCM) that underlies everything from cell phone integration and audio interfaces to optional navigation with real-traffic updates, Google Street View and Apple Car Play. The electric roadster top features a wind deflector and heated glass rear window and can be operated at speeds up to 31 mph. Porsche has forsaken the excellent naturally aspirated flat-four that powered previous Boxsters for an all new turbocharged flat-four. In the 718 Boxster, the 2.0L unit produces 300 horsepower and 280 pound-feet of torque. 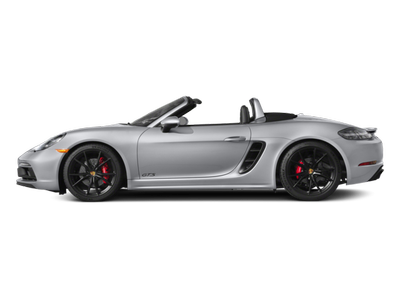 In the 2.5L 718 Boxster S, output is rated at 350 horsepower and 309 pound-feet. In each car, output is up 35 horsepower over previous models, while torque is up 74 pound-feet in the Boxster and 43 pound-feet in the Boxster S. Both engines feature auto stop/start technology, and both are mated to a standard 6-speed manual transmission, while Porsche's 7-speed PDK dual-clutch automatic is optional. 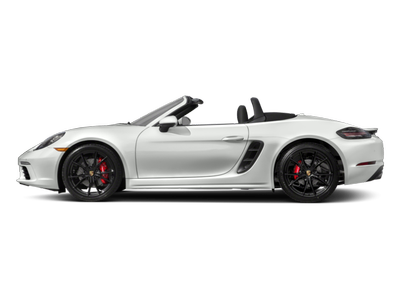 Top speed is rated at 170 mph for the Boxster and 177 mph for the Boxster S. The new for 2019 Boxster and Cayman GTS are both powered by a 365 horsepower version of the same engine in the S. Porsche claims a top speed of 180 mph for the Cayman GTS. 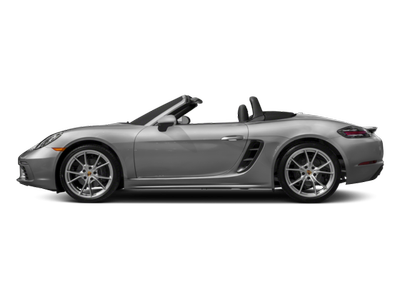 The 718 Boxster rides on 18-inch wheels and includes standard features such as an auto-extending rear spoiler, power one-touch windows, heated power mirrors, sport seats with electric backrest adjustment, automatic climate control with an active carbon filter, a 110-watt sound system, Bluetooth connectivity, cruise control, park assist with a rear camera and PCM. The instrument cluster features triple round gauges with the tachometer front and center, while a high-resolution TFT display monitors vehicle settings and navigation, radio, and phone information. The 718 Boxster S is similarly equipped, though it rides on 19-inch wheels and includes sport pedals. Several options are available on either car, including a BOSE or Burmester surround sound system, navigation integrated into PCM, 18-way adaptive sport seats, a GT Sport steering wheel, dual-zone automatic climate control, heated and ventilated seats, and safety features like adaptive cruise control and lane change assist. The $7,400 Porsche Ceramic Composite Brakes (PCCB) add carbon fiber reinforced discs with yellow six-piston calipers. Porsche Active Suspension Management (PASM) is an electronically controlled damper system with NORMAL and SPORT settings. And the Sport Chrono Package features an analog and digital stopwatch along with steering wheel-mounted controls for NORMAL, SPORT, and SPORT PLUS settings to change engine, transmission and chassis responsiveness. Launch control is also included on cars equipped with the PDK transmission. After a major redesign last year, the 718 Boxster and Cayman return with a new top of the line trim model, called the GTS. Available with either body style, the new GTS offers a little bit more horsepower, some extra Alcantara on the interior and improved styling. The GTS is immediately recognizable by its black painted headlight and taillight surrounds, its black logos and 20-inch wheels. If you would like more information about the 2018 Porsche 718 Boxster please submit the form below and we will get in touch with you as soon as possible.